Guys, my life is finally complete: I now own dungarees. Thanks to the lovely ladies at The Emperor's Old Clothes, a Brighton-based ethical fashion brand, I got to take part in the design process of creating my perfect pair. 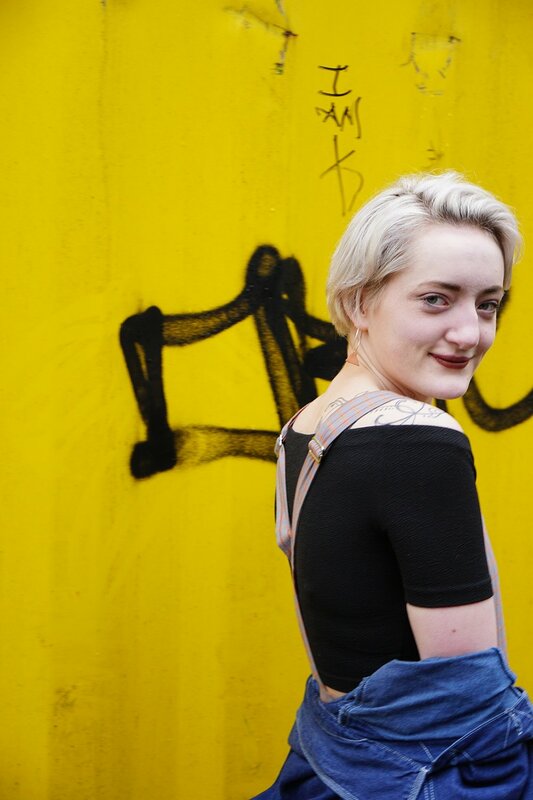 The Emperor's Old Clothes is a British clothing label designing and creating beautiful one-of-a-kind clothing & accessories, all 100% handmade by the team in their Brighton studio for a living wage. They work with mainly vintage & end-of-roll remnants to help reduce fabric waste in the UK. This also means that when you buy a new item of clothing, you are adding another chapter to the story of each beautiful cloth. I discovered The Emperor’s Old Clothes in Godiva Boutique a while back, and loved the retro-inspired silhouettes and joyful colours and prints of their womenswear designs, so when the brand got in touch to see if I wanted to test out their new bespoke made-to-measure service, I jumped at the chance! 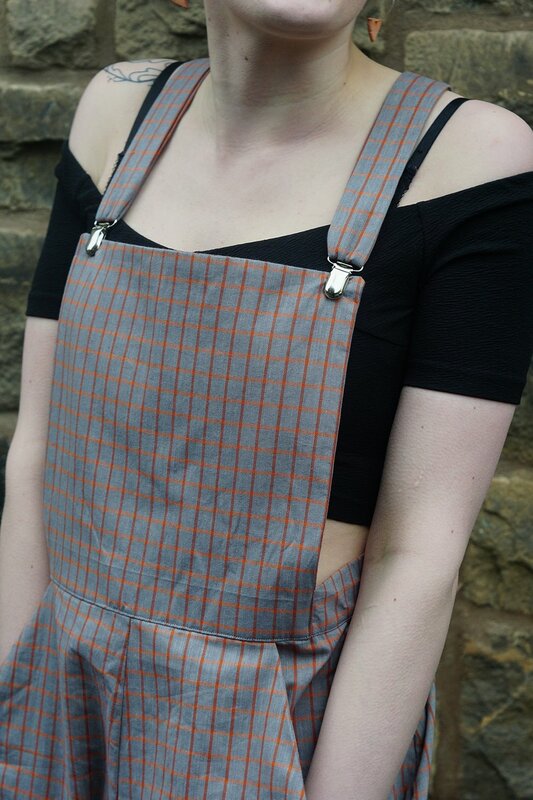 First, I chose the full length dungarees from a wide selection of different garments including a-line skirts, tea dresses, culottes, high-waisted shorts, peplum tops, two-piece sets and cropped jackets. Next, I was presented range of unique fabrics based on my stated preferences (no pastel colours, no florals) and went for this subtle check printed cotton in grey and orange. Then, I sent my measurements over and just a few days later, I received this beautiful made-to-measure garment that is totally unique and fits perfectly. The best part of the easy, speedy process was that it took part 100% online, and the brand offers an after-sales care package – they are always on hand to lower a hem or increase a waistband where needed to keep your bespoke clothing fitted in all the right places as the years go by, so this truly sustainable, and affordable, way of shopping can last you a lifetime. "Once you’ve experienced the craftsmanship and quality of bespoke tailoring it is hard to go back to the high street." Book your bespoke consultation now! I decided to style my new spring wardrobe staple in my signature minimalist way with a black off-the-shoulder crop top underneath to make the colours pop, black high-top converse for comfort, some silver hoop earrings with peach ceramic triangle details, and a vintage blue denim painter's shirt. 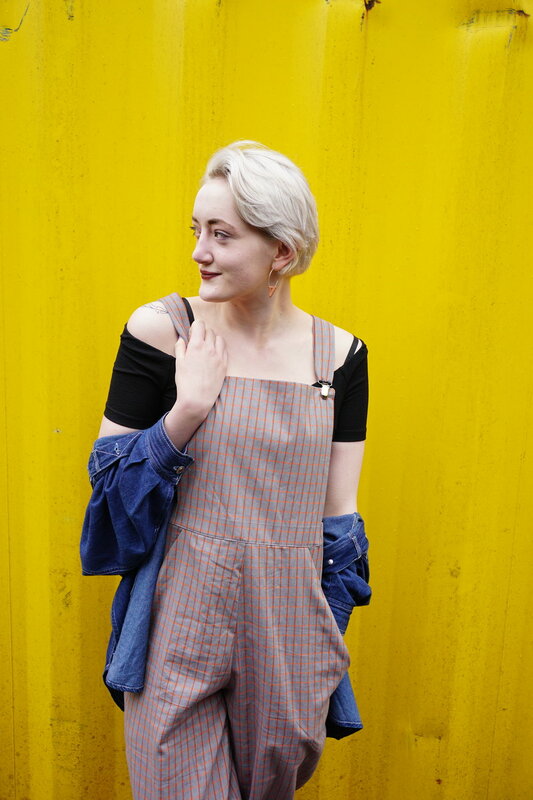 Overall, I am so happy with these dungarees! I have been wanting some for a long time but because of my awkward sizing- crazily long limbs, curvy upper body, wide hips etc- I have never found a pair that fits and feels right until now. The relaxed shape (hello gigantic pockets) and easy colour palette is going to make styling these a piece of cake all year round. Photos taken by my better half, Jack Hinks.